Human interaction with computers is no longer clearly bounded and so our user expectations no longer fit the pragmatics of design. We are increasingly data subjects within a complex network of lifestyle devices that sense, monitor, and interpret our daily endeavours. When the form that these devices take belies their true nature, a series of social challenges emerge. With the drive to new markets, based solely upon constructing value from human data, we find ourselves in something of a design dilemma. How can we design socially sensitive ‘things’, and what are the implications arising from networking our private spaces? This paper presents an autoethnographic case study, of a smart toilet roll holder, intended to surface some of these issues. 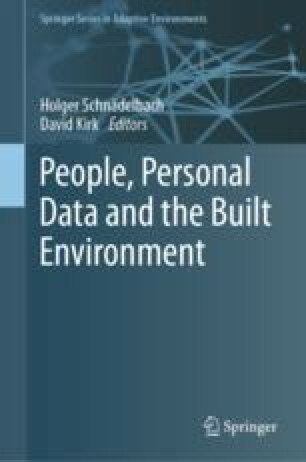 Such prototype technologies demonstrate that, without proper consideration, the level of resulting social disruption may stilt progress and stymie the development of emerging data markets. This work was funded by a UK EPSRC Digital Economy HAT: Hub-of-all-Things as Platform for Multi-sided Market powered by Internet-of-Things: Opportunities for New Economic and Business Model EP/K039911/1.